It&apos;s been a while since we&apos;ve had a smartwatch from LG, but the company could be gearing up to face Samsung&apos;s own upcoming wearable - the rumored Galaxy Watch - which is expected to be present at IFA 2018. 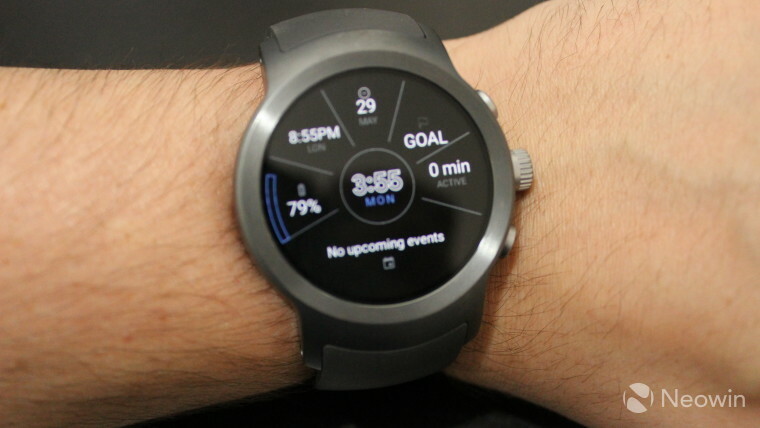 The LG devices are said to be coming as early as this month, and one of them could be called the LG Watch Timepiece, a smartwatch which is said to combine the smart features of Google&apos;s Wear OS with mechanical hands that continue to tell the time even after the smartwatch features shut down due to﻿ low battery. This is somewhat similar to what we&apos;ve seen from the TicWatch Pro, but LG&apos;s approach brings even better battery life - a rumored 100 days exclusively in "dumb watch" mode, or 100 additional hours of time-telling after the smartwatch side of the device runs the battery dry. Presumably, this would also mean that heart rate detection and other smart feature might be completely disabled, as opposed to the TicWatch. The Timepiece could cost around $300 and come with a Snapdragon 2100 chipset, 4GB of storage and 768MB of RAM. Two LG smartwatches are said to be on the way, however, and two such devices have seemingly passed through the FCC. With that being said, only the Timepiece has been detailed so far, so it remains a mystery what the other device could be. Published on Fri, 13 Jul 2018 18:12:01 GMT, © All rights reserved by the publisher.